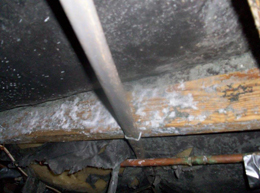 Mold occurs naturally and can be found all around us, but when mold starts to grow inside our homes or place of business it can lead to serious health concerns. Mold growth indoors is not normal, and is often caused by recent water damage or high humidity levels in the home or business. If you suspect or spot mold growth in your home, call Clean Masters to safely remove the mold and get to the root of the problem to prevent additional damage or mold growth. Inhalation exposure to mold indoors can lead to adverse health effects in some people. 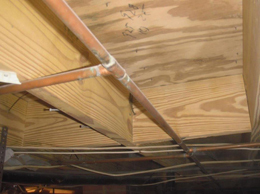 Molds produce allergens, irritants, and, in some cases, toxic substances known as mycotoxins. Inhaling or touching mold or mold spores may cause allergic reactions in sensitive individuals. Allergic reactions to mold are common and can be immediate or delayed. Repeated or single exposure to mold, mold spores, or mold fragments may cause non-sensitive individuals to become sensitive to mold, and repeated exposure has the potential to increase sensitivity. As an irritant, mold can irritate the eyes, skin, nose, throat, and lungs of individuals whether or not they are allergic to mold. 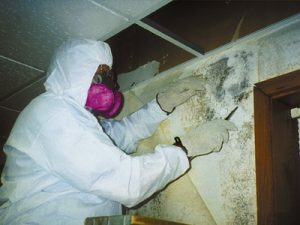 If you think you have mold growing inside your home or place of business contact Clean Masters! We can help you resolve your mold issue and we will even work with your insurance company to help you through the process. Clean Masters is ready to serve you.